“Dong! Dong! Dong!” Witnessed by diplomats, Equatorial Guinea's government officials, community leaders, and peace promoters, H.E. President Teodoro Obiang Nguema Mbasogo of Equatorial Guinea rang the Ancient Bell of World Peace and Love at the United Nations on Feb. 5, 2019. This was the first time that this ancient Bell was rung at the UN. H.E. President Teodoro Obiang Nguema Mbasogo made his wish for peace: “Es necesaria La Paz y armonía de los seres humanos en el mundo.” (Peace and harmony are necessary for human beings in the world.) His Excellency shared that he participated with satisfaction in this important bell ringing ceremony on behalf of his country and people and also in his capacity as President of the Security Council of the United Nations in February 2019. 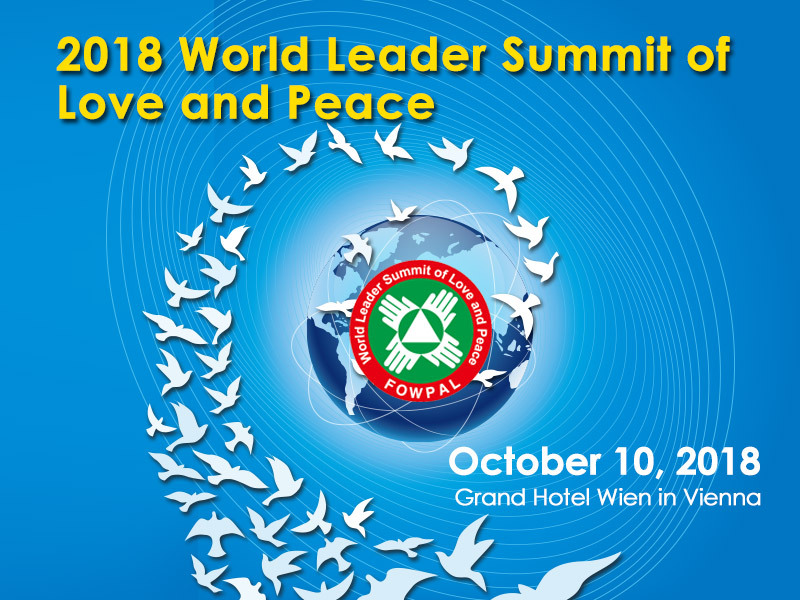 The 2018 World Leader Summit of Love and Peace and Ceremony of Ringing the Bell of World Peace and Love, organized by the Federation of World Peace and Love (FOWPAL), took place at the Grand Hotel Wien in Vienna on October 10; visionary leaders from all fields were invited to exchange views on love and peace, a culture of peace, and global sustainability. The ceremony of ringing the Bell of World Peace and Love was also hosted in Vienna for the first time, uniting influential leaders to take actions for a better world; nearly 100 honorable guests from 16 nations attended the event. 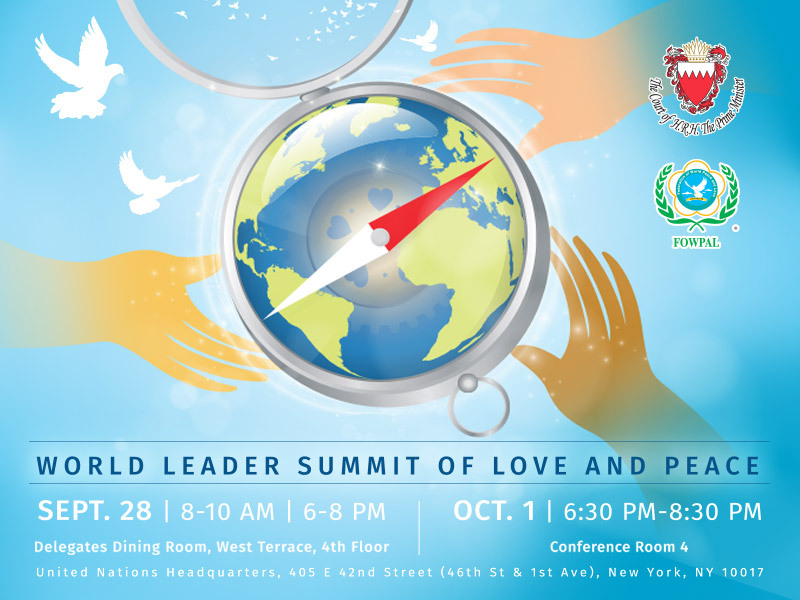 The Bell of World Peace and Love rang at the United Nations Headquarters for the first time on Sept. 28, 2018, at the World Leader Summit of Love and Peace during the 73rd session of the United Nations General Assembly. 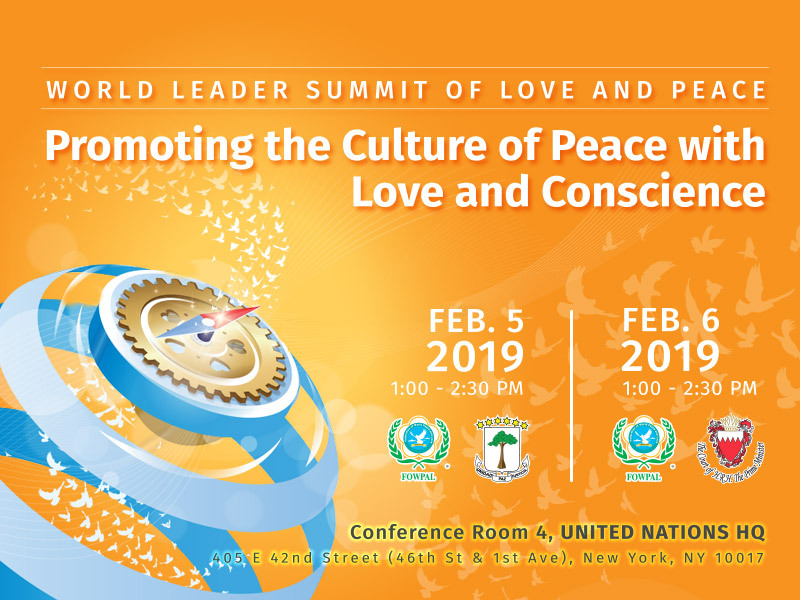 The event was organized by the Federation of World Peace and Love (FOWPAL) in cooperation with the Kingdom of Bahrain to celebrate the 70th anniversary of the adoption of the Universal Declaration of Human Rights and to encourage all to work together for global sustainability and humanity's collective wellbeing. 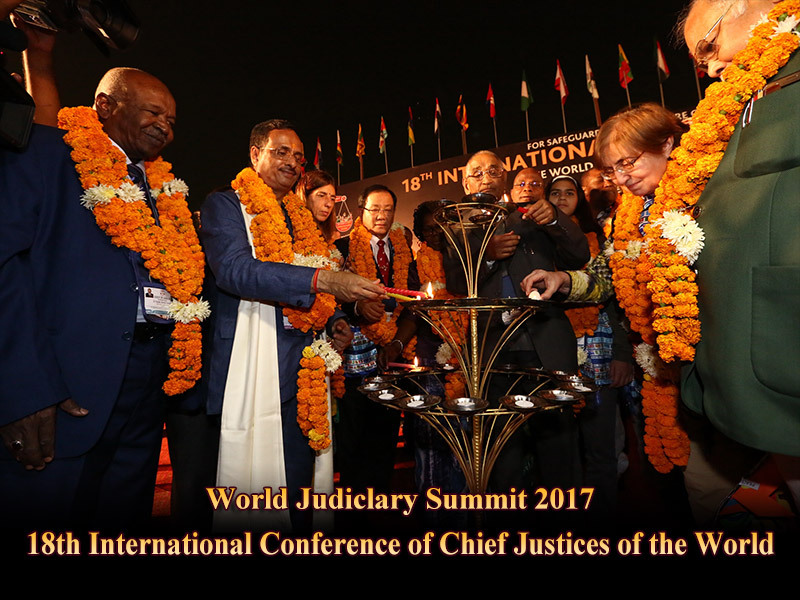 To unite the world for a better future, the 18th International Conference of Chief Justices of the World in 2017 was held in India on November 8-14, and heads of state and government, chief justices, judges, lawyers, and other members of the legal communities from 60 countries arrived in Lucknow, India on Nov. 10 and were warmly welcomed. 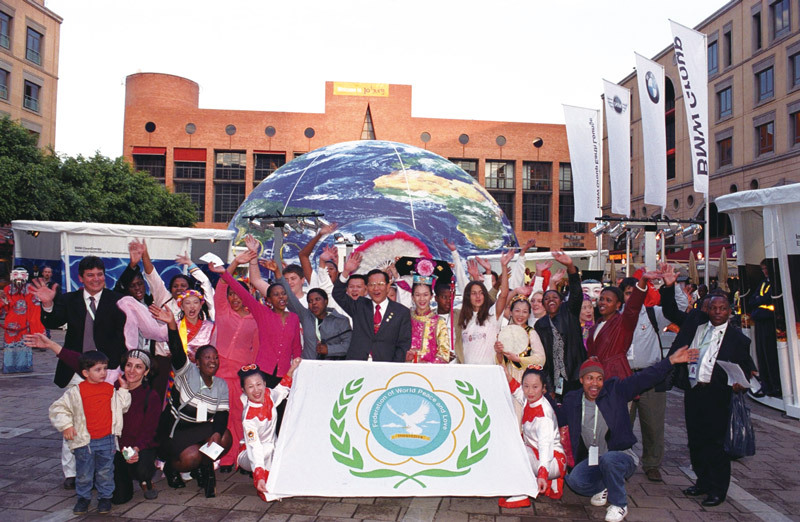 During the opening ceremony of the event on November 11, in particular, there was a ceremony of ringing the Bell of World Peace and Love, hosted by Dr. Hong, Tao-Tze, president of the Federation of World Peace and Love (FOWPAL). Six important leaders rang the Bell and made peace wishes, including the vice president of Guyana, a former prime minister of Lesotho, the speaker of the National Assembly of Mauritius, the speaker of the Parliament of Ghana, a former chief minister of Sri Lank’s Sabaragamuwa Province, and a judge of the International Criminal Court in the Netherlands. 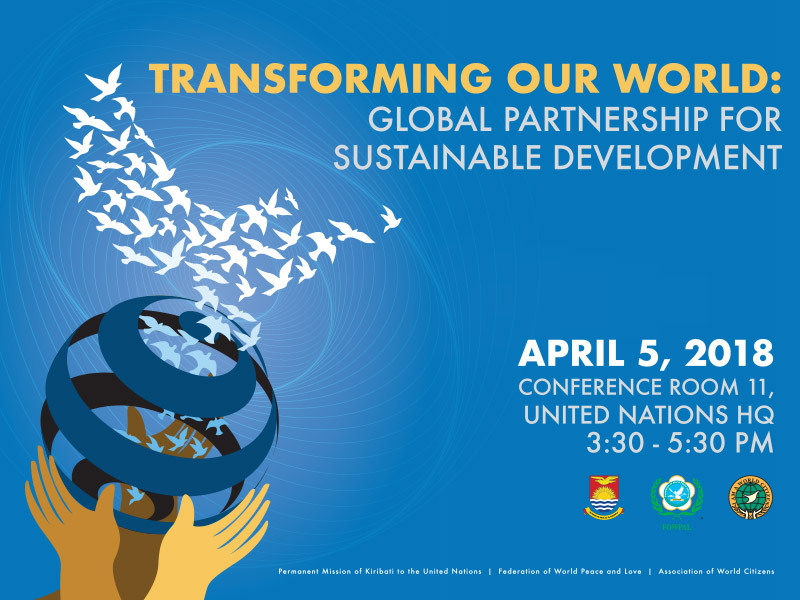 ​In 2016 when the UN DPI/NGO Annual Conference took place in Asia for the first time, H.E. Mr. Ban Ki-moon, UN Secretary-General, stated at the opening of the conference, “Education is critical to nurture global citizens who can rise to the challenges of the 21st century.” He urged all NGOs to work together with the United Nations to promote education for global citizenship. The meeting was attended by over 2500 NGO delegates from more than 100 nations. Over 100 international volunteers for the movement of An Era of Conscience (ANEOC) traveled to Korea to promote the endorsement of the “Declaration for the Movement of An Era of Conscience” and “Declaration of World Citizens.” The volunteers also shared with Mr. Ban the ANEOC movement. 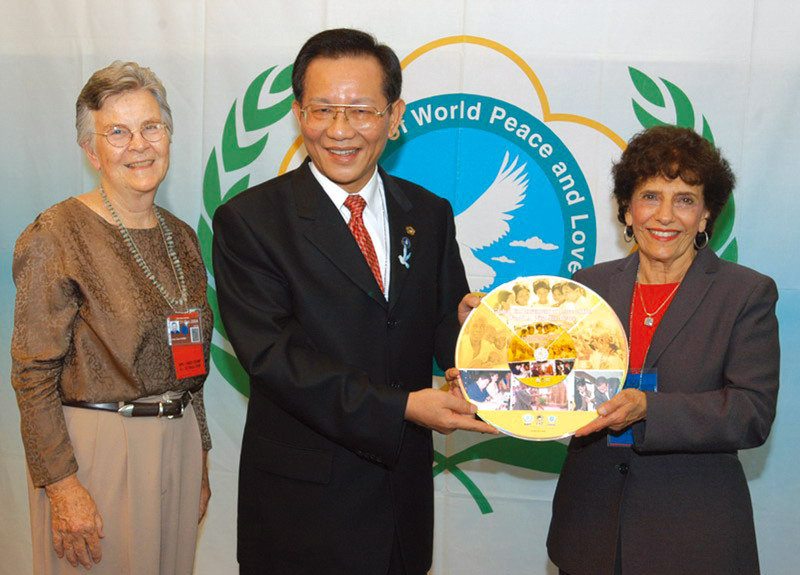 ​In September 2004, during the 57th Annual UN DPI/NGO Conference, Dr. Hong presented a disk containing 2 million signatures gathered from 158 countries endorsing “Love of the World, A Declaration for Peace” to Joan Levy, Chair of NGO/DPI Executive Committee, and Joan Kirby, Chair of the 57th Annual UN DPI/NGO Conference, which was later submitted to UN Secretary-General Kofi Annan.